After 23 years without knowing what I had, I was diagnosed with Facial Infiltrating Lipomatosis (FIL) in 2017. It took a while for me to understand what my condition means. To make myself better understand, I read research papers, talked with my doctor at HECOVAN (a Dutch expertise centre) and I learned a lot from mothers whose children are affected with the same condition. Below I will give a summary of my findings. Some parts get a bit technical. Facial Infiltrating Lipomatosis is an ultra rare congential – which means it’s present at birth – benign condition belonging to the subgroup of lipomatous tumors. It was first described by Slavin et al. in 1983(1). Till date only a handful of cases have been reported (2). It occurs after the third decade of life (> 1990) and the first case reports including facial lipomatosis only appeared at the turn of the century. The condition involves cheek, buccal sulcus, tongue, lip, floor of the mouth, mental area and parotid gland (3). (4)(5) Not all patients with FIL have all these symptoms. As far as I know, I do not have an enlarged tongue, overgrowth of the ear or increased density of facial hair. I do have all the other findings. I was given the first name: Facial Infiltrating Lipomatosis (FIL) which I will be using in all my communication. FIL is caused by a mutation in a gene called PIK3CA which is involved in controlling the way cells and tissue grow (6). These mutations arise in the womb while a baby is developing. As just one cell is affected at this time, only some parts of the body are affected, whilst other parts grow normally. The genetic mutation occurs because the cell makes a mistake in copying DNA when dividing. Thus far there are no known factors that would make these mutations more likely occur. It’s nonhereditary and occurs random. The chance that my baby will have this condition is as small as anyone else. FIL can be diagnosed with CT and MRI (4). 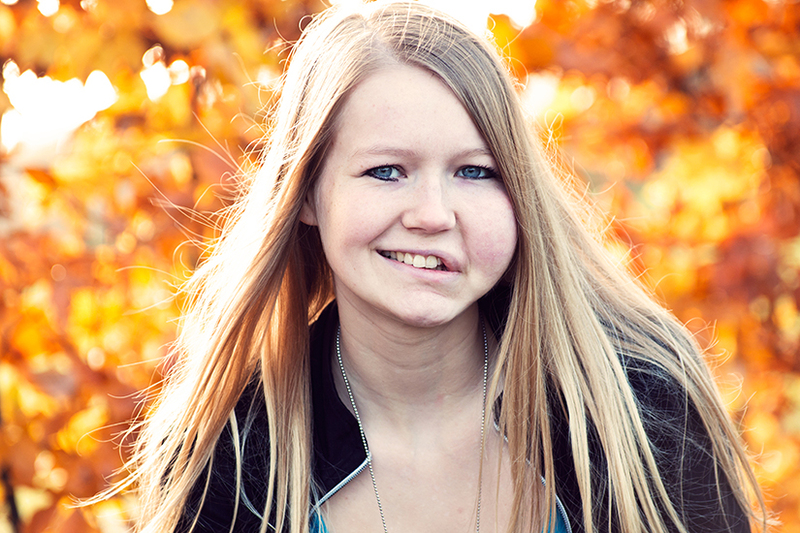 The PIK3ca mutation an be confirmed with a cheek swab, biopsy and molecular genetic testing. Genetic testing is hard and can show negative results the first few times, because even in affected tissue the percentage of cells with the PIK3CA mutation may still be low. Most people have to get tested multiple times till the results comes back positive. Regarding drugs, there are interesting developments to keep an eye on. There are currently clinical trials with PI3K/AKT/mTOR inhibitors. Chemotherapy drugs such as sirolimus (rapamycin) and everolimus are used for patients with cancer and may have a therapeutic role in patients with FIL (and other overgrowth syndromes) as well (5). However, this drug is still in experimental phase. My doctor told me it is currently only advised to people who have no other option and are in extreme pain. Update: June 2018 an amazing break-through was published regarding new drugs for people with a PIK3CA mutation. There are two doctors who are working on the front end of FIL and state they have succesfully treated several FIL-patients. The following information is based on experiences from patient’s who are treated by these doctors. Dr. Milton Waner, Pediatric Facial plastic surgeon and ENT professor at the Vascular Birthmark Institute in New York, USA. Dr. Waner is offering a more radical treatment including “radical resections” (removal of the tumor and all the affected tissue) and facial reanimation. This is done with more than 10 big surgeries. Dr. Arin Greene, Plastic and oral surgeon at Boston Childrens Hospital, USA. Dr. Greene’s approach is debulking and shaving away the cheek bone, further debulking of other areas of the face (under the eye, along the jaw line) and planned scar revision. This involves many big surgeries as well. Dr. Greene is also actively doing research on this condition. (3) With FIL being so rare and newly discovered, people are often given a wrong diagnosis. When I was younger, they mentioned other diagnosis to me as well: Proteus syndrome, Bannayan Riley syndrome and Cowden syndrome. Slavin SA, Baker DC, Mccarthy JG, Muffarrij A. Congenital infiltrating lipomatosis of the face: Clinicopathological evaluation and treatment. Plast Reconstr Surg. 1983;72:158–64. Balaji SM. Congenital diffuse infiltrating facial lipomatosis. Ann Maxillofac Surg. 2012;2(2): 190–196. Urs AB, Augustine J, Kumar P, Arora S, Aggarwal N, Sultana N. Infiltrating lipomatosis of the face: A case series. J Nat Sci Biol Med. 2013;4(1): 252–257. Mahadevappa A, Raghavan VH, Ravishankar S, Manjunath GV. Congenital Infiltrating Lipomatosis of the Face: A Case Report. Case Reports in Pediatrics. 2012;article ID 134646. Maclellan RA1, Luks VL, Vivero MP, Mulliken JB, Zurakowski D, Padwa BL, Warman ML, Greene AK, Kurek KC. PIK3CA activating mutations in facial infiltrating lipomatosis. Plast Reconstr Surg. 2014;133(1):12e-9e. Padwa BL1, Mulliken JB. Facial infiltrating lipomatosis. Plast Reconstr Surg. 2001 Nov;108(6):1544-54. Singh K, Sen P, Musgrove BT, Thakker N. Facial infiltrating lipomatosis: A case report and review of literature. Int J Surg Case Rep. 2011; 2(7): 201–205.